Stretch ‘em and make these mice glow! 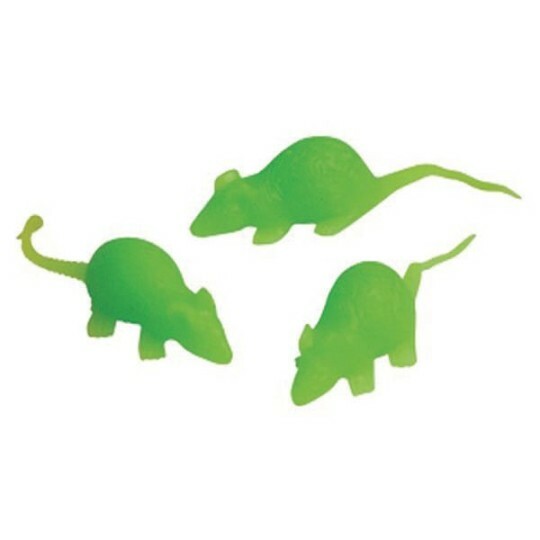 Glow, stretchy mice are a fun addition to Halloween décor or a Halloween goodie bag. Stretch or squeeze them and they return to their original shape. 24 pieces per pack. Approx. 2-1/2" long (including tail).